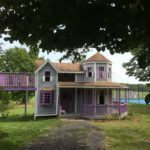 Grace’s Playhouse: In 2003, an eight year old Grace Emery from Milton, Vermont wanted a playhouse. As she was undergoing treatments for Neuroblastoma, a rare childhood cancer, she began drawing pictures and telling her family what she dreamed of for her play-house. 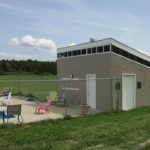 With the help of a local contractor, local businesses, and lots and lots of volunteers Grace’s Playhouse became a reality. 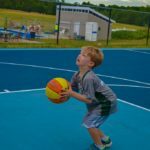 In 2012, as Grace’s battle with Neuroblastoma was coming to an end she expressed her wish to have the playhouse moved to Camp Ta-Kum-Ta, which was her favorite place on earth. On June 27, 2013 the very special playhouse was relocated from its original home in Milton, Vermont to its new home here at Camp Ta-Kum-Ta. 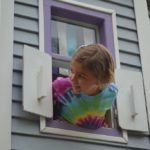 Moving her Playhouse here has allowed kids to share in the fun, joy, and happiness it offered her and will continue to for years to come. 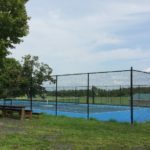 Jack’s Court: The Camp’s Tennis Court was named in loving memory of a former camper, Jack Burfoot. The court was completed in 2013. It has a TKT emblem painted in the center of the court. 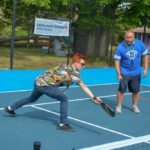 New to 2018 Pickleball was played here. 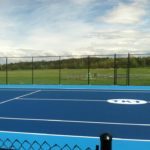 Many thanks to those who donated to make this possible: Vermont Tennis Courts, North Hero Quarry, Got That Rental & Sales, Beaulac Excavating, Munson Earth Moving, Morses Sand, Harrison Redi-Mix, Pike Industries Inc, VT Tennis Courts Surfacing and Ken Rubenstein. 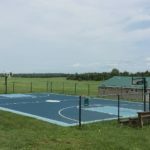 The Basketball court was completed in 2014. 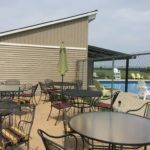 In 2015 we were able to install an in-ground saline pool that safely accommodates all campers in either the shallow end or the 6.5 foot deep end. 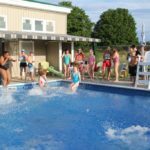 The pool is heated to ensure every camper can enjoy it. 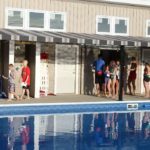 A pool shed was also built to house all of the equipment needed to efficiently run this wonderful addition! In 2017 and 2018 Darlene’s Pool House was created. It provides a safe space for campers to get ready for water activities. 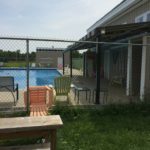 With plenty of storage space for pool supplies, bathrooms, showers, changing rooms, and a patio, the pool house offered relief from the warm summer sun! 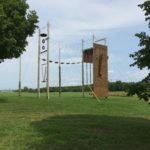 In 2013 “the islands of the sky” was added to the ropes course and In 2015 our new climbing wall was added. 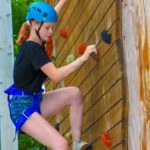 The wall provides fun challenges for both kids and adults. 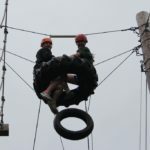 The wall and ropes course help campers build confidence and learn to encourage others.